George Balanchine (January 22, 1904 – April 30, 1983), born Giorgi Balanchivadze (Georgian: გიორგი ბალანჩივაძე) in Saint Petersburg, Russia, to a Georgian father and a Russian mother, was one of the 20th century's foremost choreographers, a pioneer of ballet in the United States, co-founder and balletmaster of New York City Ballet: he created modern ballet, based on his deep knowledge of classical forms and techniques. He was a choreographer known for his musicality; he did not illustrate music but expressed it in dance and worked extensively with Igor Stravinsky. Thirty-nine of his 400 ballets were choreographed to music by Stravinsky. Giorgi Balanchivadze began his career as a professional dancer in the Soviet Union. There, he launched his own company, Young Ballet. In 1924, he joined Serge Diaghilev 's company, Les Ballets Russes, and began his long and productive collaboration with the composer Igor Stravinsky. Balanchine also created two of his earliest masterworks for Les Ballets Russes: Apollon Musagète (1928 and later known as Apollo ) and the Le Fils prodigue ( The Prodigal Son ) (1929), which are still performed today. After Diaghilev's death, Balanchine started a short-lived company in Paris. Soon after, the American arts patron Lincoln Kirstein persuaded Balanchine to immigrate to the United States. Early efforts to start a ballet company in his adopted country failed, but eventually Balanchine and Kirstein launched the Ballet Society, which became known as the New York City Ballet and is one of the world's leading ballet companies. At the New York City Ballet, Balanchine cultivated a style known as “neoclassicism” in works such as Serenade (1934), The Four Temperaments (1946), Jewels (1967) and Ballo della Regina (1978). Balanchine's neoclassicism required speed and precision. He embraced the 19th-century emphasis on technical virtuosity, but rejected the lavish sets and décor that defined Imperial Russian Ballet. The female dancers in his company – epitomized by Balanchine's muse Suzanne Farrell – were typically tall and thin. He usually avoided plots and preferred minimal sets and lighting. Similarly, his dancers often were costumed simply in leotards and tights. In 1983, the George Balanchine Foundation was established to preserve Balanchine's choreographic legacy. Balanchine, George. By George Balanchine. New York: San Marco Press, 1984. 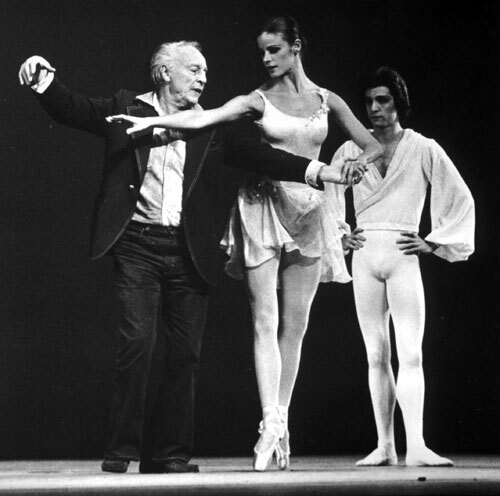 Balanchine, George, with Francis Mason. Balanchine’s Complete Stories of the Great Ballets. Revised ed. Garden City, NY: Garden City, 1977.